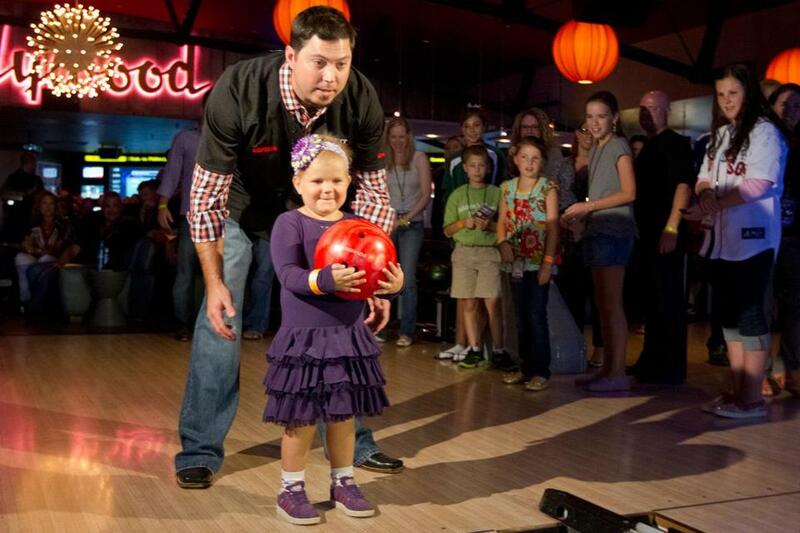 Josh Beckett rolled the first ball with 5-year-old Phoebe Davis at the sixth annual Beckett Bowl at Jillian’s Lucky Strikes Lanes in Boston. The bowl benefits Children’s Hospital. But just 37 cents of every dollar raised by his charitable foundation went toward its mission. But an examination of the group’s financial records — part of a Globe review of more than 150 Internal Revenue Service filings by 50 nonprofits operated by professional athletes — reveals that just 37 cents of every dollar raised by the Josh Beckett Foundation went toward its mission to “improve the health and well-being of children.” That’s far less than the 65 to 75 cents that nonprofit specialists say is an acceptable minimum. Oberle insisted the foundation’s money has been well spent and said he has been fairly compensated for “a conservative estimate” of his time commitment to the nonprofit. “I’ve spent a lot of time working on partnerships with businesses, where we get a percentage of revenue,” Oberle said. “But some of them have fallen through because Josh was traded” to the Los Angeles Dodgers less than a week after his final Beckett Bowl last August. In some cases, it is difficult to gauge a nonprofit’s true impact. The Roger Clemens Foundation records the sum of its charitable contributions on IRS filings based on the “fair market value” of tickets and memorabilia donated to charity auctions, instead of the prices at which the items sold. Barry Dym, executive director of the Institute for Nonprofit Management and Leadership at Boston University, said an athlete who feels a genuine call to philanthropy should consider establishing a nonprofit under the umbrella of one of the roughly 650 “community foundations” already operating in the United States. Community foundations help multiple nonprofits reduce their overhead costs by pooling resources. “The first thing I did was stick a knife in the foundation and said, ‘We can’t afford this. This is silly,’ ” recalled Samuel K. Brown, a Kentucky accountant who became Rondo’s financial adviser after the nonprofit’s formation. Sports fans share some of the blame for the shortcomings of athletes’ foundations, suggested Mark S. Rosentraub, codirector of the Michigan Center for Sport Management and a faculty affiliate of the Nonprofit and Public Management Center at the University of Michigan. Rosentraub said athletes feel burdened by a societal expectation that they — blessed to make millions playing games — will “give back” by starting foundations they may be ill-equipped to lead. “I’m not sure why we expect them to be that different from everyone else,” he said. “I got in some trouble for poker last year, so why not turn it around and raise some money for the children?” Rodriguez said in an interview with MLB.com at the time. By Rodriguez’s standard, the Josh Beckett Foundation is a model organization. But the big right-hander's nonprofit has its own problems. Oberle, the director, acknowledged that Beckett Bowl expenses have consumed a significant portion of the foundation’s revenue and that some event extras, like a performance by country singer Jason Aldean in 2010, have not lived up to expectations as major attractions. Why it works: Smith eschews expensive fundraisers in favor of free ones, like a mustache fund-raiser in which supporters found people to sponsor their facial hair. Why it works: Most of the foundation’s money comes from Anthony or his company, Melo Enterprises Inc. The All-Star’s personal generosity ($2.9 million between 2008 and 2010) keeps fund-raising costs down. Globe correspondent Alyssa Edes contributed reporting. Callum Borchers can be reached at callum.borchers@globe.com. Follow him on Twitter @callumborchers.